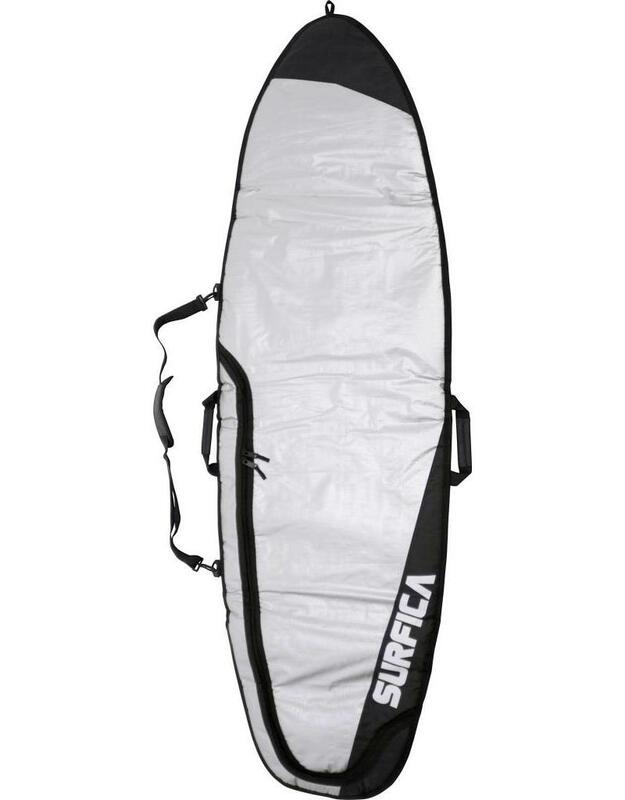 Surfica Surfboard bags are packed with features and are designed to keep your surfboard in the best condition possible during transportation or when in storage. 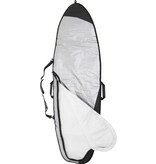 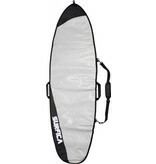 Surfica Surfboard bags cater to Hybrid, Fun, Fish and Shortboard shapes. 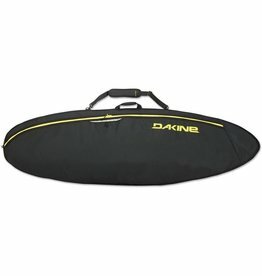 OUTLINE: Generously proportioned outlines feature across all sizes with an oversized internal measurement of 1.5 inches (38mm) to accommodate a wide range of fish models and widths. 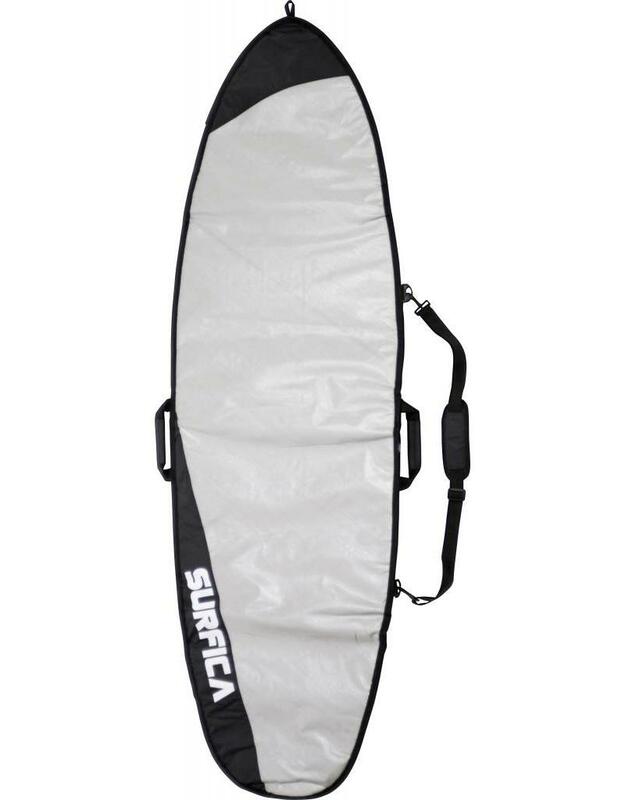 TARPLIN SKIN: Provides a tough protective layer around the foam paddling with a simple yet stylish grey on black aesthetic. 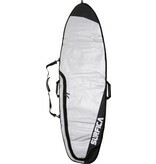 PADDED CARRY HANDLES: All Surfica boardbags come with a padded carry handle and a detachable shoulder strap for added comfort during transportation. 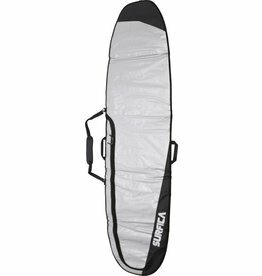 8MM CLOSED CELL PADDING: Keeps your board safe from bumps and general wear and tear, and is suitable for everyday use or travel expeditions. 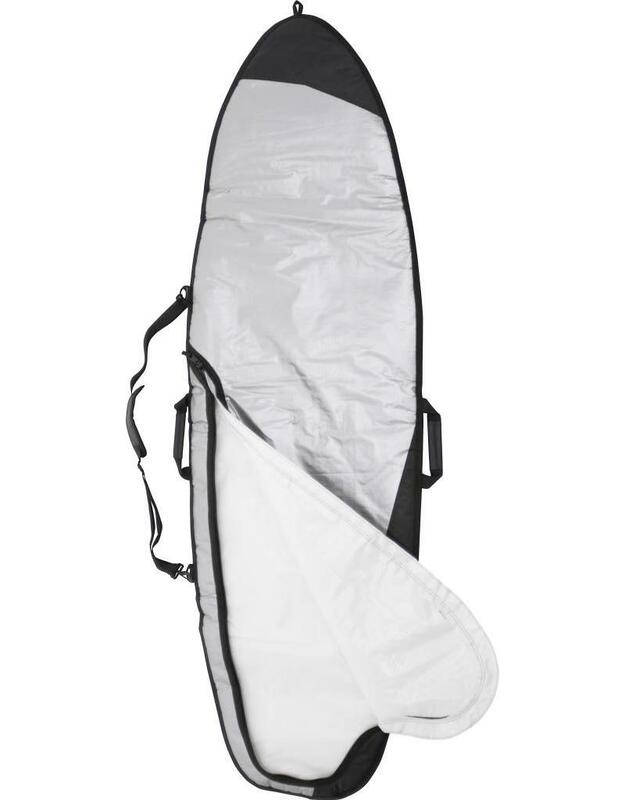 COIL ZIPPER: High-density YKK zippers are made with durable nylon material to slide easily and withstand some rough treatment.